When you’re focused on losing or maintaining weight, you get plenty of advice about carbs. Should you avoid carbohydrates at all costs, or just certain ones? Our dietitians explain. Are carbohydrates dietary heroes or villains? When you’re focused on losing or maintaining weight, you get plenty of advice about carbs. What’s the truth — should you avoid carbs at all costs, or just certain ones? “People often say that carbs are fattening. But complex carbohydrates, like whole grains, are not ‘fattening’ foods,” says Kristin Kirkpatrick, MS, RD, LD. This myth, she believes, may spring from carbs’ effect on insulin. Eating carbohydrates raises your blood glucose and prompts your body to release insulin. This redirects your glucose to cells. Examples include desserts; white bread, rice and pasta; and snack foods like chips, crackers and pretzels. 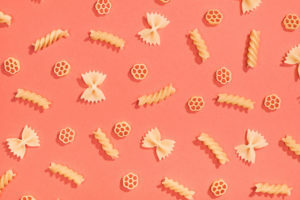 These refined carbs are stripped of the outside grain, which contains the fiber and some protein, she says, making glucose levels spike quickly. Carbs that contain fiber (like brown rice) or protein (like legumes) raise blood glucose more slowly, require less insulin, and keep you full longer. But even complex carbs like whole grains, beans and fresh fruit should be eaten in moderation. “For weight loss, a basic rule of thumb is to limit your carb intake to about 1 cup per meal (about the size of a coffee mug or woman’s fist),” says Ms. Zumpano. Keep your carbohydrate intake to around 40 to 45 percent of your total calories, she says. Healthy fats should make up 30 to 35 percent of your total calories, and lean proteins should make up the other 30 percent. “High-fiber carbs (like legumes, whole grains, starchy veggies and fruits) and high-protein carbs (like legumes, yogurt and milk) are generally more nutritious than low-fiber carbs (like refined grains, sweets and sugary drinks),” she says. “It’s true that white foods like processed grains and sweets are higher on the glycemic index, quickly raise blood sugar and cause inflammation,” notes Rachel Stockle, RD, LD. But other carb-rich foods — considered “white” due to the color of their inside layer — can be essential to good health. “They contain plenty of phytonutrients, have antioxidant activity and support immunity,” she says. But many fruits today are far larger than the recommended portions, she cautions. That can make your daily calories and total carbs add up fast. Don’t write off carbs — they play an important role in a healthy, balanced diet. “Pick carbs that are bursting with fiber and/or protein, vitamins and minerals, and neglect those devoid of nutrients,” advises Ms. Taylor.